Andy Serkis will direct a live-action version of 'The Jungle Book'. The 49-year-old actor has his sights set on the adaptation of Rudyard Kipling's classic children's story and is in negotiations with Warner Bros. to bring it to life on the big screen. 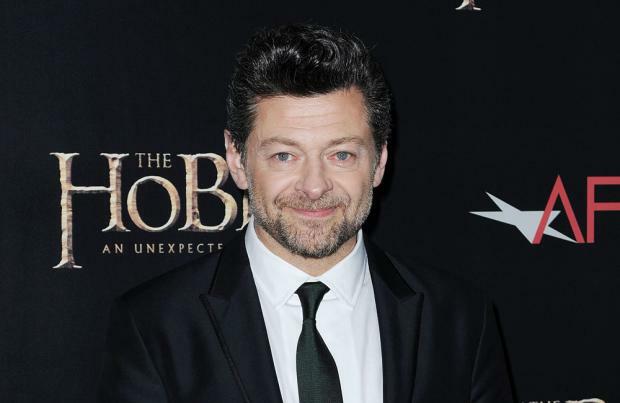 Serkis will also produce the movie with Steve Kloves, and Steve's daughter Callie Kloves is set to make her screenwriting debut on the film, according to the Hollywood Reporter. Alejandro González Iñárritu was previously in talks to direct the film, but he pulled out due to scheduling conflicts and Ron Howard, who directed 'Rush' was also a brief contender for the director position. However, adding the 'Lord of the Rings' star to the movie will put Warner Bros. back in the competition as Disney is also running a live-action 'Jungle Book' project, which has already hit the casting stage. Disney's adaptation will be directed by Jon Favreau, known for 'Elf' and 'Iron Man', and Idris Elba is also on board to voice the man-eating tiger Shera Khan. 'The Jungle Book' would mark Serkis' first feature directing gig, although he has also served as second unit director on the 'Hobbit'. Kipling's original collection of stories were published in 1894 and Disney famously released its animated movie in 1967, which was then followed by a live-action film in 1994.